Who doesn’t know about Dolce & Gabbana, a fashion kite who has taken many flights over decades? well, if the dresses are appealing how come not the pasta by D&G no wonder. Yet the campaigns we were following D&G happenings on social media it’s all over here, the spark and cart of millennials tremendous work. The chiffon dress with the pasta print should have been the tipoff. While all the chaos in September, the iconoclastic Italian design house Dolce & Gabbana sent a parade of food-oriented outfits down the runway at the Paris show for its Spring 2018 collection, including high-waisted, carrot-and-radish-printed pants, a ruffled dress emblazoned with cannoli, and a skirt printed with cans of tomatoes. Di Martino has been in the pasta business since 1912; its product was the first pasta to cross the Panama Canal. Its kinds of pasta are now available worldwide and account for annual revenue of more than $163 million. In the U.S. they’re available at Whole Foods. 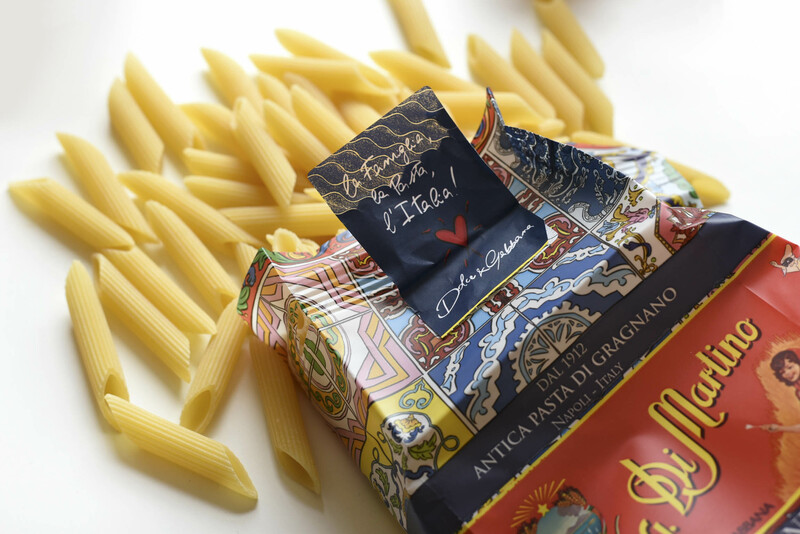 However, the tins will be available in Pasta Di Martino’s stores in Naples and Bologna. In Novemeber15th at dimartinodolcegabbana.com the U.S., the tins will be sold online starting and available in select stores including Buon’Italia in Chelsea Market in New York. (Later in 2018, downtown New York will get its own di Martino store; the company is planning a major American expansion.) In London, the tins will adorn holiday windows at Harrods; Dolce & Gabbana is outfitting many of the displays. The tins retail for about $110. A professional business developer and a writer by hobby. Talk and write about Pakistan's bands because "I am a seller and I mind your business"